The first thing that you do in the morning is make your bed after getting up because unmade beds look messy. The dust mites are directly linked to asthma fearing which most of the people make their beds every morning. However, a recent study suggests something completely out of the box, now. According to a Kingston University study, the house dust mites or bugs can never survive in the warm and dry conditions that are found in a bed that is not made. Your bed may be a home to around 1.5 million house dust mites; the bugs are less than a millimeter in length and they feed on the skin of humans. These mites give birth to allergens that are inhaled during sleep. The damp conditions developed in an occupied bed are perfect for the mites; however, when the moisture is less, they are just not able to survive. The mites or creatures have tiny glands on their body due to which they survive, according to the researcher Dr. Stephen Pretlove. When you make the bed in the morning, you welcome the moisture to sit on the surface of the bed due to which the mites take birth and prepare themselves to feast on you as you slide into your sheet. 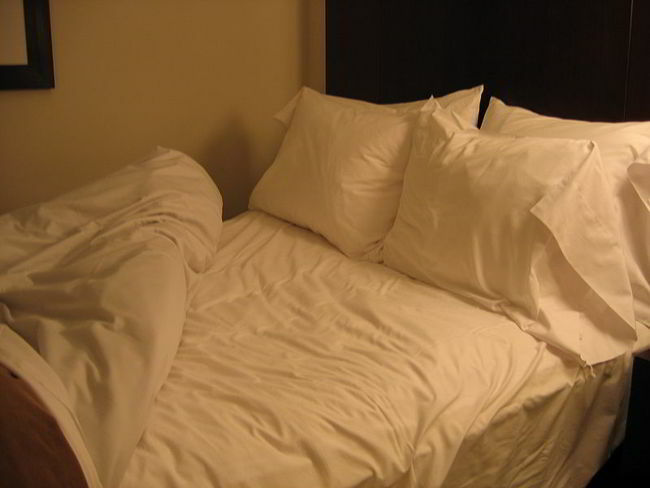 On the other hand, something as easy and simple as not making the bed removes all the moisture from the sheets. The mites dehydrate and die due to lack of moisture in bed. There have been a lot of critics to this theory and research developed by Dr. Pretlove, but he insists on sticking to what he has found during the time of his study. So stop harassing your loved ones to make their beds every morning! Previous articleTalking to yourself in a mirror actually makes you smarter.